What a killer turn out for our Live Video Master Class! If you are looking to expand your reach – you must watch this! 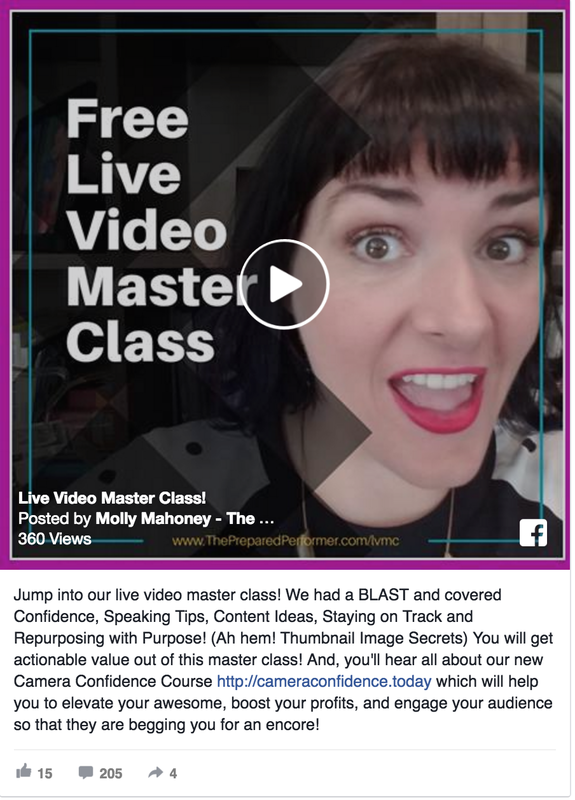 Here's the replay if you'd like to jump and soak up the actionable tips and strategies! And, I shared news about the newly updated Camera Confidence Course! Our students are having amazing success with Live Video, so you'll want to check it out! We had amazing questions during the master class, and added value from the community participation! Be sure to stay to the end because I give some of my best tips for repurposing your content and getting an awesome thumbnail.